February 6: The 120th Anniversary of the Astronomical Society of the Pacific: The First National Astronomy Organization in the U.S. Title: The 120th Anniversary of the Astronomical Society of the Pacific: The First National Astronomy Organization in the U.S. Description: Tomorrow is the 120th anniversary of the founding of the Astronomical Society of the Pacific, which began as a small group of professional and amateur astronomers on the Pacific Coast, but has become one of the largest and most active astronomical organizations in the world. The Society’s library and offices were completely destroyed in the great San Francisco Earthquake of 1906, but they recovered and rebuilt and are still going strong. We discuss the Society’s history, including the role of Secretary Charles Adams, whose photographer son Ansel was inspired in part by his father’s love of astronomy. 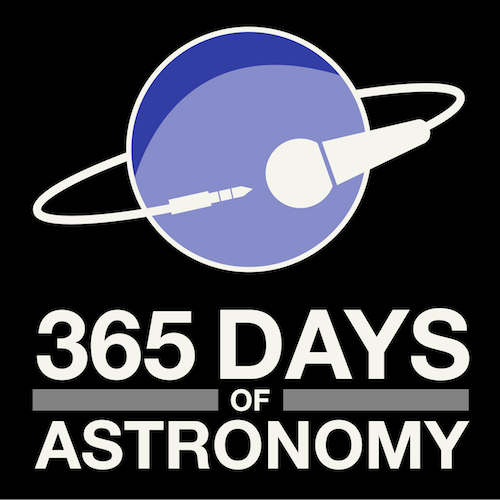 The ASP staff has prepared activity guides for each month of the International Year of Astronomy. Bio: Andrew Fraknoi is the Chair of the Astronomy Department at Foothill College, just south of San Francisco. He was Executive Officer of the Astronomical Society of the Pacific from 1978 to 1992. He serves as co-editor of Astronomy Education Review, an on-line journal on astronomy education and outreach, is co-author of a series of astronomy textbooks, and recently wrote a children’s book, Disney’s Wonderful World of Space. He appears regularly on local and national radio, explaining astronomical ideas in everyday language. The International Astronomical Union has named Asteroid 4859 Asteroid Fraknoi to recognize his contributions to the public understanding of astronomy. Hello, this is Andrew Fraknoi, the Chair of the Astronomy Department at Foothill College and a former Executive Director of the Astronomical Society of the Pacific. I want to tell you the story of that Society, which is celebrating a special anniversary this year as well. On Feb. 7, 1889 there was a triumphant meeting of a San Francisco club of amateur photographers to celebrate their successful “shooting” of a total eclipse of the Sun. At this gathering, a group of 40 astronomers, educators, and astronomy enthusiasts signed the Charter Membership Roll of a group they called the Astronomical Society of the Pacific. As we celebrate the International Year of Astronomy in 2009, we also commemorate the 120th anniversary of the founding of the ASP — the first national (and international) astronomical organization in the U.S.
What made the new scientific Society unusual from the very beginning is that it welcomed on an equal footing not just scientists, but teachers and amateur astronomers as well. The Society’s founder, Edward Holden, was the first Director of the newly founded Lick Observatory, just south of San Francisco, and he envisioned the Society as a way of putting west coast astronomy “on the map.” But because of the great public interest in the subject and the lack of other organizations in which everyone’s astronomy interest could be fostered, the ASP soon had members all around the U.S. and in a growing number of other countries. Today, its name is a mere reminder of its origins and no longer a limit on its reach. Holden himself never had a particularly distinguished career in astronomy research. But he was a splendid popularizer of astronomy and wrote book after book (plus many articles) for adults, students, and young children. One of his favorite occupations was making bibliographies about astronomical subjects. In fact, he retired from astronomy to become the Librarian at West Point. Holden’s name is back in the news these days, by the way, because the crater named for him on Mars continues to be one of the leading candidates for a landing site for the Mars Science Laboratory, the next rover mission to the red planet. But back to the story of the new Society, which soon established the pattern of activities that would sustain it for more than a century. Meetings included discussions for both professionals and enthusiasts, its various publications were aimed at all segments of its membership, and its outreach programs were of benefit to people far beyond the Pacific coast. In 1925, the Society began a 46-year experiment in astronomy popularization by issuing the first of a series of pocket-sized Leaflets, each on one astronomical development, described in everyday language. Noted authors of these ASP Leaflets over the years included Edwin Hubble (the father of extra-galactic astronomy), Seth Nicholson (one of the pioneers of infrared astronomy), Harlow Shapley (who first pinned down the extent of the Milky Way Galaxy), and Clyde Tombaugh (the discoverer of Pluto). Other publications sponsored by the ASP include its technical journal (the PASP), its popular-level magazine, Mercury, which replaced the Leaflets, a series of conference volumes (just celebrating its 400th book), and a series of very popular information packets in the 1970’s and 1980’s. The packet on Comet Kohoutek in 1973 got more than 30,000 requests by word of mouth alone and the one on Halley’s Comet in 1986 was almost as popular. In 1984, the Society started a newsletter for educators in grades 3-12 who wanted to cover astronomy in their classes, but needed information and activities. This Universe in the Classroom newsletter had a circulation of over 20,000 eventually and was translated into several languages for overseas distribution. Today, current and back issues are available electronically on the Society’s education pages. Over the years, some very interesting people from the world of astronomy have been associated with the ASP. George Pardee, President of the Society in 1899, became Governor of California, and a crusader against the overwhelming influence of the Southern Pacific railroad in state affairs. William Alvord, who served on the first ASP Board of Directors, later became mayor of the city of San Francisco. Early Society members included Andrew Carnegie, Baron Albert von Rothchild, and Phoebe Apperson Hearst, the mother of the newspaper publisher, William Randolph Hearst. One of the most active leaders of the Society was Charles H. Adams, an insurance broker and businessman, who had an amateur interest in astronomy. After joining the ASP Board in 1923, he soon became the Board’s Secretary-Treasurer, a post he held for 25 years. During this time, Society business was often conducted from his home and records kept there. His son later remembered spending time at the kitchen table attaching mailing labels to issues of the ASP’s journal. Charles’ fascination with the skies rubbed off on this son, who became a nature photographer of international renown. You may recognize his name — Ansel Adams. Among other Presidents of the Society were Hubble, George Abell (a pioneer in understanding the great clusters of galaxies and a noted textbook author), Sidney Wolff (the first woman to become director of a major observatory), and — at the time of the Society’s 100th anniversary — Frank Drake (who pioneered the scientific search for extra-terrestrial life.) Board members included astronaut Karl Henize (who took the ASP banner into space with him on the Space Shuttle). The last 120 years have provided the ASP with many ups and downs. In 1906, the great San Francisco earthquake and fire burned down the Society’s offices and library, and the entire print run of the current issue of its Publications. Luckily, one copy had been sent out in advance, and from it, the journal was soon reprinted in Southern California. When we bought the Society’s headquarters building in 1988 in anticipation of our centennial, one of the first things I did was to make sure that it was bolted to the foundation and that we had fire extinguishers everywhere. Today, the Society does much of its work on the World Wide Web, although its summer or early fall meetings still attract hundreds of astronomers, educators, and amateurs. With the help of partners such as NASA and the National Science Foundation, the ASP has been able to set up a series of educational networks to disseminate techniques and materials for the teaching of astronomy at many levels and in many arenas. One of these is Project ASTRO — a program to bring volunteer astronomers into 4th through 9th grade classrooms. Each professional and amateur astronomer actually adopts one class and visits 4 to 10 time for a year. Kids — and their teachers — just love being able to say that they have their own astronomer. The teachers and the astronomers are trained together at summer workshops in doing hands-on astronomy activities — activities that convey the excitement of thinking and investigating like scientists. Many hundreds of astronomer-teacher partnerships have now been forged through 13 regional training sites around the U.S. and many thousands of schoolkids have done activities like using moon balls to understand the phases of the Moon or unrolling toilet paper — with the teachers permission, no less — to make a scale model of the solar system. What fun. In March 1889, Edward Holden gave a speech at the first regular ASP meeting and set out his vision for the new Society. Among his remarks, he hoped that the Society work would always involve the “interchange of ideas [and] the contact of active minds.” That hope remains as important to the Society’s leaders today as it did 120 years ago. On Saturday, February 7th, we invite you to raise a toast, read a chapter of your favorite astronomy book, or take a young person outside to watch the night sky in honor of the ASP’s 120th birthday. Andrew Fraknoi is the Chair of the Astronomy Department at Foothill College, just south of San Francisco. He was Executive Officer of the Astronomical Society of the Pacific from 1978 to 1992. He serves as co-editor of Astronomy Education Review, an on-line journal on astronomy education and outreach, is co-author of a series of astronomy textbooks, and recently wrote a children’s book, Disney’s Wonderful World of Space. He appears regularly on local and national radio, explaining astronomical ideas in everyday language. The International Astronomical Union has named Asteroid 4859 Asteroid Fraknoi to recognize his contributions to the public understanding of astronomy. 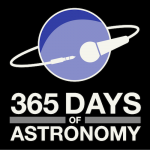 2 Responses to February 6: The 120th Anniversary of the Astronomical Society of the Pacific: The First National Astronomy Organization in the U.S.
Andy, thank you for a excellent history of the ASP. I am one of many amateur astronomers that has benefited from the ASP’s commitment to outreach education. My efforts with the public are greatly enhanced because of the creativity, and passion of the staff of the ASP. The ASP has enriched my life! Thank you so much for doing this podcast episode. You are one of the people who sparked my interest in astronomy early on. I remember listening to you on the Jim Eason show on KGO in the 1980s. Nowadays I’m a father of four, and I’m delighting in showing my children some of the wonders of the night sky. I’m a member of the Fremont Peak Observatory Association, and I’ve done programs for guests there, and I’ve ‘adopted’ a couple of local school classrooms on my own. I give 2 or 3 presentations per year in local 5th grade classrooms. I wanted to thank you for turning me on to astronomy back then, and to let you know I’m carrying on teaching kids about astronomy, largely because of you.